Maybe you or your children have read about dog sledding, or maybe it’s just an adventure that you have on your bucket list. With the swish of sled runners on the snow, the rhythm of trotting and panting dogs, and the sense of wilderness adventure, dog sledding is irresistible to some. Maybe you like the idea of exploring wintry wilderness areas but are not physically able to go on long hiking and camping trips. Regardless of your reasons and motivations, there are fun and exciting dog sledding adventures to be had here in the continental United States. Jackson Hole – In a Jackson Hole dog sled adventure, you will explore the beautiful national forests around Jackson Hole, such as the Teton National Forest and Yellowstone. Continental Divide – Near Jackson Hole is the Continental Divide. The dog sled adventures here include overnights, day trips, and even a stay in a yurt! Both areas provide guided tours through the featured areas. The Continental Divide will also give you lessons on driving the dog sled yourself. Is A Dog Sled Adventure FUN? It has been described as “exhilarating,” which makes sense when you consider it’s called a dog sled adventure, not a dog sled luxury vacation! Those who love camping and unusual adventures will enjoy dog sledding. For a camping dog sled vacation, all of your gear is loaded on the sled – tents, food, etc. The dogs start with a rush then settle into a trot as you take in the speed and scenery. 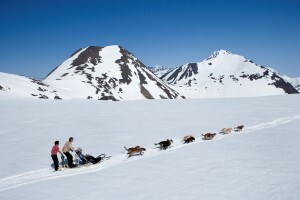 There are also dog sled tours where you and your family can stay in resorts and cabins. You go out on the sled during the day and come back at night. These are usually package deals and many are family friendly. 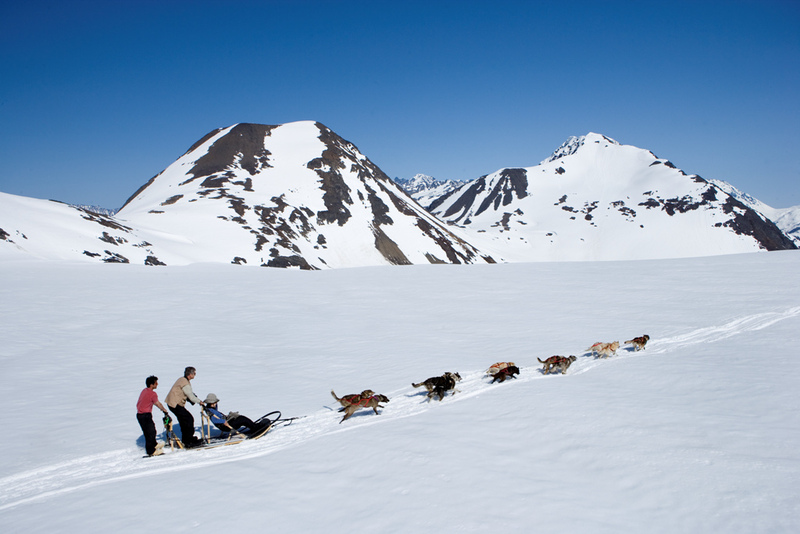 You can combine skiing with dog sledding, too, making time for both activities during the vacation.